We are seeking grant proposals for projects aimed at promoting an understanding of the historic relationship between the United States and Austria (including Habsburg Austria) in the fields of history, politics, economics, law, cultural studies, and public history. Grants may include support for related lectures, seminars, workshops, conferences, exhibits, publications, podcasts, and documentaries. Applications must be submitted by March 1, 2019. Please visit the link below for more detailed application instructions. The Botstiber Fellowship will be awarded to a scholar or professional who seeks funds for a project that promotes an understanding of the historic relationship between the United States and Austria (including Habsburg Austria) in the fields of history, politics, economics, law, cultural studies, and public history. A grant of up to $30,000 will be considered for support for research, travel, salary replacement, or other necessary expenses. Applications must be submitted by March 1, 2019. Please visit the link below for more detailed application instructions. Dietrich W. Botstiber lived through the difficult social and economic conditions in Austria from the 1918 breakup of the Austro-Hungarian empire to the 1938 Anschluss. He left Austria for the United States in 1938. After finding success as an engineer and entrepreneur, Botstiber created the Botstiber Foundation in 1995. 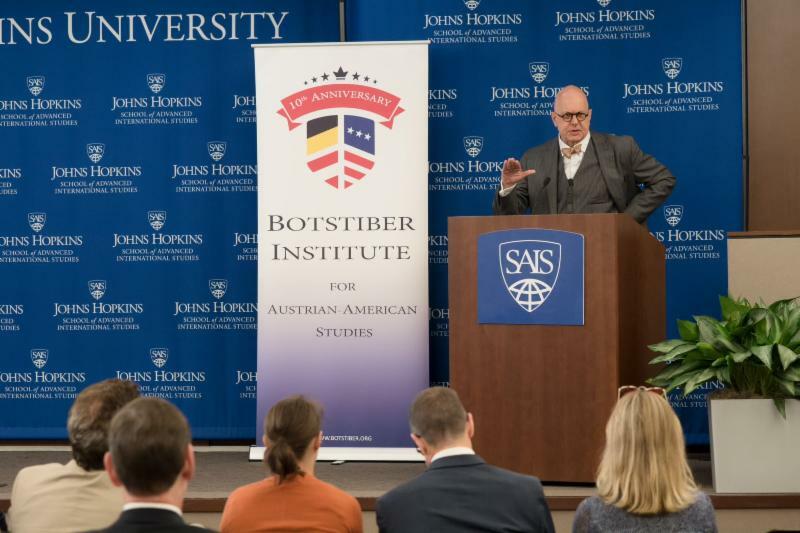 In 2008, the foundation formed the Botstiber Institute for Austrian-American Studies (BIAAS). BIAAS works to “promote an understanding of the historic relationship between the United States and Austria,” including lands of the former Habsburg empire. The Institute accomplishes this goal by awarding grants and fellowships, organizing lectures and conferences, and publishing the Journal of Austrian-American History. BIAAS also engages with a broader public audience through digital programming, including short videos, podcasts, and blog posts.